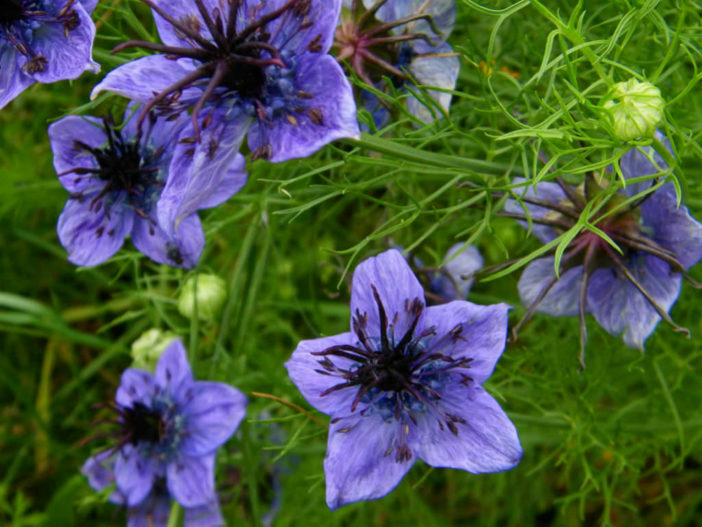 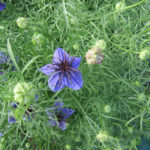 Nigella hispanica is an annual herb up to 1 foot (30 cm) tall, with the most spectacular flowers of the Nigella genus. 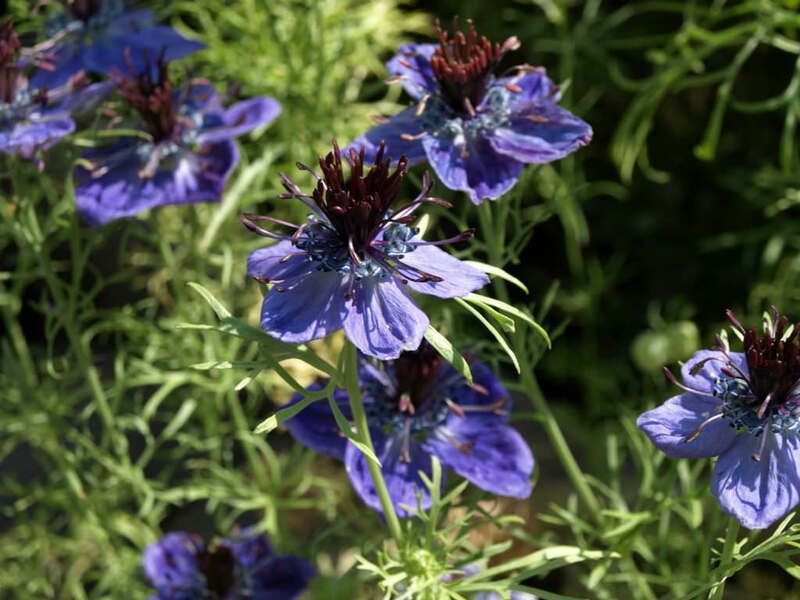 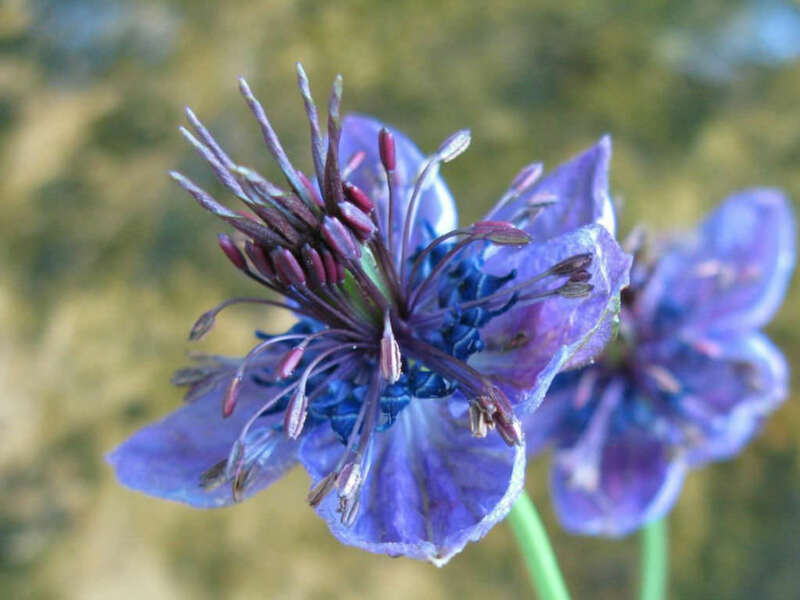 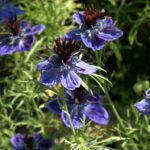 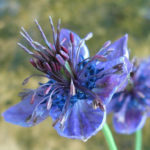 The flowers are up to 3 inches (7.5 cm) wide, blue, with black centers and wine-colored stamens, along with light green ferny foliage. 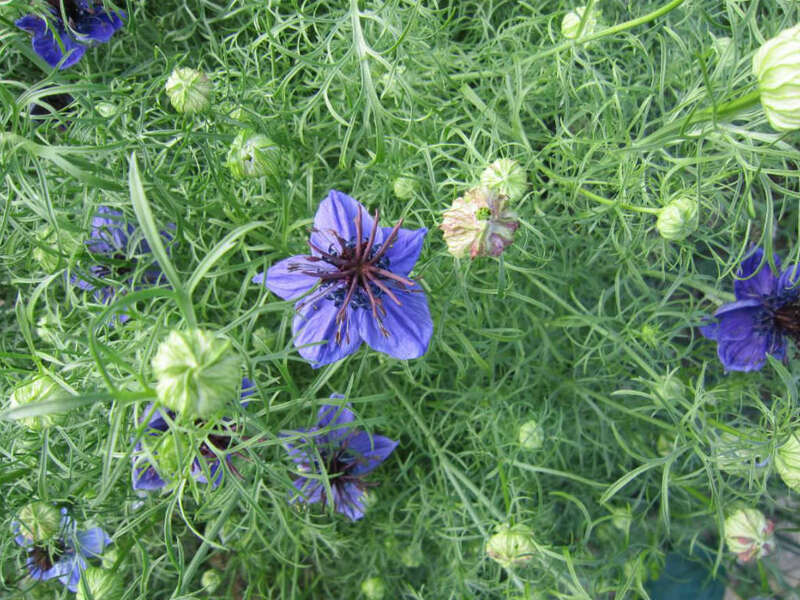 Striking, chalice-shaped seedpods form on sturdy stems and are green when they emerge, turning tan as they harden.